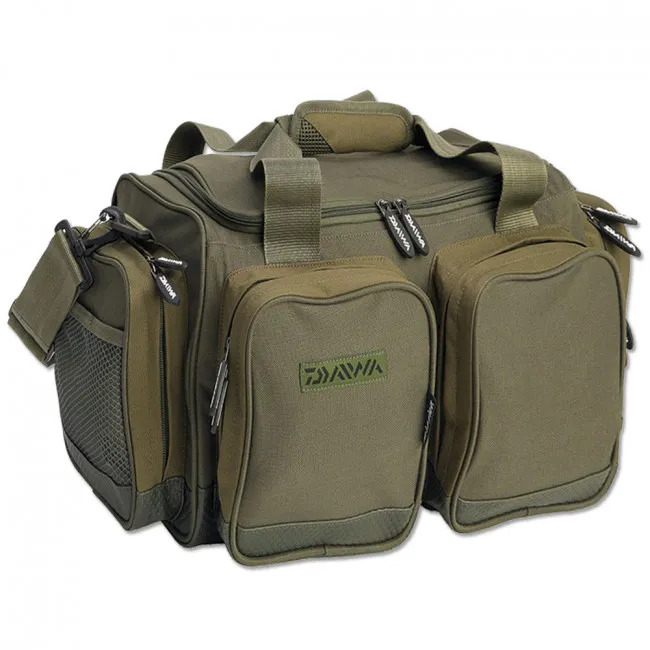 Available in 40ltr or 70ltr option, the Daiwa Mission Carryall gives you plenty of storage, with four external pockets and two side pockets, allowing you to stow a whole range of tackle boxes safely. Durable double zips keep everything secured, while a padded shoulder strap and convenient carry handles make it easy to get your carryall everywhere you need to go. A hardened base makes this a durable, practical piece of luggage that’s tough enough to withstand the rigours of any bankside. A top quality finish tops off this stylish carryall, which blends form and function to give you the best for all your fishing needs. For a superior choice and enhanced performance, do it better with Daiwa. Good size, Good quality and great price. Quality product, well made and durable. Good value for money, very pleased with purchase. I was able to condense two bags into this one very easily with room to spare. Material is good tough wearing and the zips are well made and work perfectly. Handles or shoulder strap to carry make it nice and versatile. Very pleased. 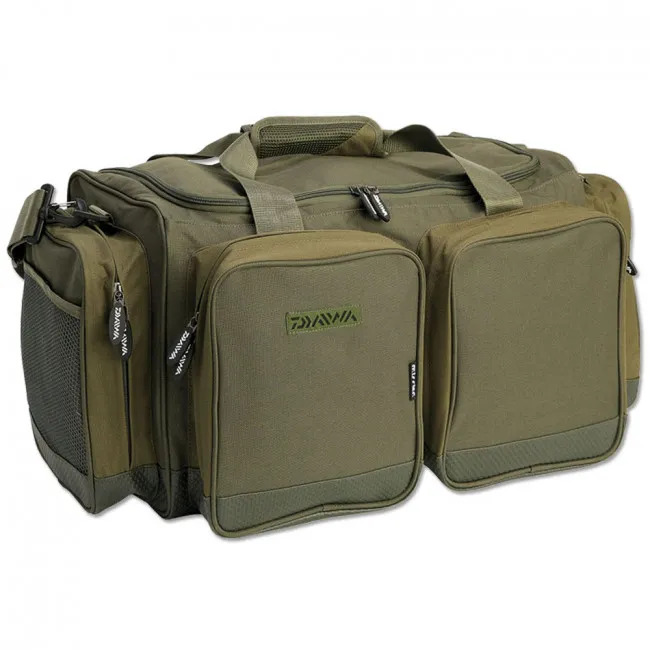 Excellent holdall, will take all my sea fishing tackle with space to spare and I can now compartmentalize small items, this makes it easier to find them unlike in a larger tackle box. Great carryall decent size to fit plenty in. Good quality you would expect from Daiwa. Happy with this purchase. quality at a good price holds lots of kit. Awesome product. Pleanty of space for all of my tackle and has a comfy padded strap. quality you would expect from Daiwa. Plenty of room for all my kit. Great bag, large capacity and good quality. excellent product; great all rounder holdall, with enough space to pack tackle, bit and clothes for a weekend away. Quality stuff as expected from Daiwa and a super fast delivery.q. Great bag, love it - can fit everything and more in there! Bought as a present but was perfect for what they wanted. When I got this I thought it was to big, but I'm able to get all I need in it, meaning i only have to carry one bag to the bank. Good quality and nice padded shoulder strap. What can you say really. It's green, plenty of room and pretty well made. Probably wouldn't suit the tackle tarts but it's definitely functional. very good carryall plenty of space and pockets for everything. Item as described. Very pleased with my purchase. excellent service , from ordering to very fast delivery, would recommend to anybody. My only criticism is that there is no app for Google Android. Fantastice value for money and a great quality carryall. Excellent product. Very pleased with the quality.